Excellent sprinter/milers form the Race History of the All Aged Stakes run at Randwick on Saturday. Atlantic Jewel was a shooting star but won this against the males. This year’s All Aged Stakes (1400m) at Randwick on Saturday is a really good edition. 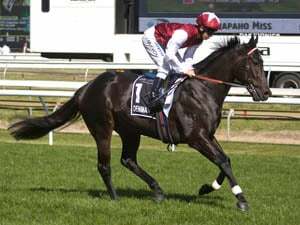 The All Aged Stakes is a Group 1 race for Open Class horses conducted by the Australian Turf Club at Randwick. The All Aged Stakes was first run in 1866 and was won by Falcon. The All Aged Stakes is run over 1400m under Standard Weight For Age conditions. Until 2004 when the carnival had a revamp, it was over the mile. Since 2000, eight fillies and mares have won. The previous mare winner was Hana’s Goal (2014) and the previous filly winner was English (2016). The most recent 3yo Colt or Gelding to score was Trapeze Artist (2018). Gai Waterhouse has won it the most times as a trainer with five ahead of Tom Lamond, Maurice McCarten and Tommy Smith with four. For the jockeys Jim Pike has seven wins in front of Neville Sellwood with five. After the race was reduced to 1400m in 2004, the TJ Smith Stakes run the fortnight before is the main guide with seven coming through that. 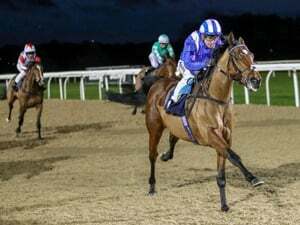 However five other races have provided the winner, either at WFA or at handicap. Fiorente flashed home for third in a one run preparation in 2013 and would then win the Melbourne Cup that Spring. The 2019 All Aged Stakes is worth $600,000 in prizemoney. Orr Stakes-All Aged Stakes double – Lord (1959), Tobin Bronze (1967), All Too Hard (2013), Dissident (2015). Futurity Stakes-All Aged Stakes double – Gladsome (1905), Amounis (1930), Winooka (1933), Alax (1938, 1939, 1940), Bernborough (1946), San Domenico (1952), Lord (1959), Sky High (1961), Always Welcome (1978), Vite Cheval (1985), All Too Hard (2013). 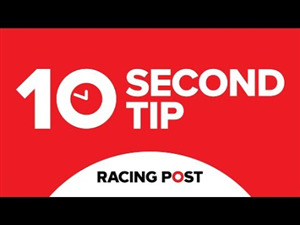 Doncaster Mile-All Aged Stakes double – Cremorne (1893), Specialty (1921), Valicare (1926), Sir Christopher (1931), Winooka (1933), Chatham (1934), Cuddle (1936), Unpainted (1968), Broker’s Tips (1970), Tontonan (1974), Belmura Lad (1979), My Gold Hope (1982), Sunline (2002), Private Steer (2004). Multiple winners of the All Aged Stakes include Tim Whiffler (1870, 1871), Carbine (1889, 1890), Marvel (1891, 1894), Gladsome (1904, 1905), Malt King (1911,1912), Ajax (1938, 1939, 1940), Yaralla (1942, 1943), Kilshery (1962, 1963), Dalrello (1976, 1977), Rough Habit (1992, 1993) and Sunline (2000, 2002). 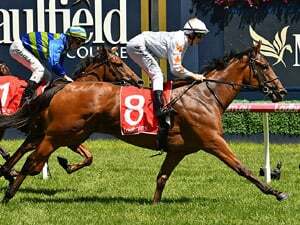 Other notable winners are Briseis (1876), Wakeful (1902), Amounis (1930), Chatham (1934), Peter Pan (1935), Bernborough (1946), San Domenico (1952), Tulloch (1958), Lord (1959), Noholme (1960), Sky High (1961), Wenona Girl (1964), Tobin Bronze (1967), Triton (1972), Tontonan (1974), Emancipation (1984), Campaign King (1987), Shaftesbury Avenue (1991), Private Steer (2004), Racing To Win (2008), Hay List (2011), Atlantic Jewel (2012), All Too Hard (2013), Hana’s Goal (2014) and Trapeze Artist (2018). The 2018 All Aged Stakes was won by Trapeze Artist from Le Romain and Showtime.